This heavenly pendant from the Pois Moi collection by Roberto Coin will jazz up your style. 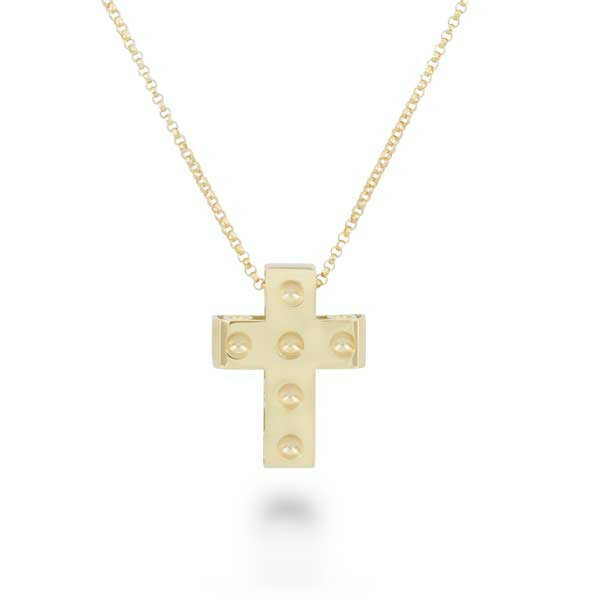 The sleek cross is molded in 18kt yellow gold with perforated rounds that are carved into the surface, and it floats harmoniously along an 18" link chain. This exceptional Roberto Coin cross pendant is a glorious way to proclaim your faith.